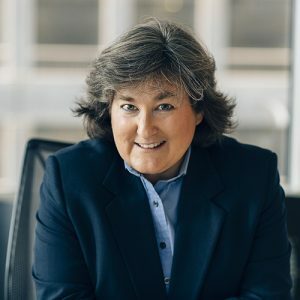 Erika Karp is Founder and CEO of Cornerstone Capital Inc. Cornerstone was created to catalyze the flow of capital toward a more regenerative and inclusive global economy. The firm seeks to optimize investment performance together with social impact through rigorous research that systematically integrates Environmental, Social and Governance (ESG) factors into portfolio design. In seeking positive societal impact at scale, Cornerstone offers investment advisory and capital markets advisory services, underpinned by rigorous research. Erika is a founding Board member of the Sustainability Accounting Standards Board (SASB), an Ambassador for the International Integrated Reporting Council (IIRC,), a member of CECP’s Strategic Investor Initiative Advisory Council, and an advisor to the Omidyar Network’s Know the Chain initiative. Erika was a member of the World Economic Forum (WEF) Global Agenda Council on Financing and Capital and an advisor to the Clinton Global Initiative (CGI) Market-Based Approaches Track initiative. She also sat on the Program Design Advisory Council for Harvard Business School’s Executive Education Program on Innovating for Sustainability. Erika speaks at events including those of the OECD, the UN Global Compact and PRI, Oxford University, The Forum for Sustainable and Responsible Investing, Ceres, The Aspen Institute, and the White House. She holds an MBA in Finance from Columbia University and a BS in Economics from the Wharton School.